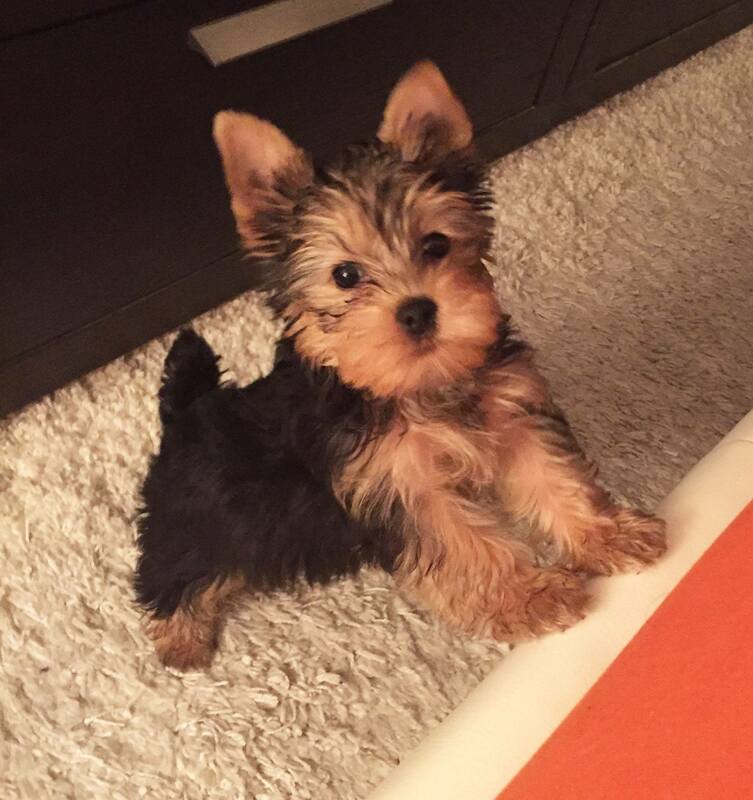 The owners of a Yorkshire Terrier puppy named Ben say they are devastated after he was killed by a PIT BULL on the seawall in Vancouver. Barbara Siqueira and Rob Rijvers said they were walking 13-week-old Ben on a leash near George Wainborne Park in Yaletown on Saturday, January 28 at about 5 pm. “Ben was smelling the grass, running because he was extremely excited and happy,” Siqueira told Daily Hive. As they walked, Rijvers said, they saw a couple with three white dogs, that they believe to have been pit bulls, also on the seawall. A woman was holding two younger dogs, while a man was holding an older, bigger dog, Siqueira said. They thought nothing of it, said Rijvers, until they encountered the same couple and the three dogs again a little later. The two younger pit bulls and Ben were eager to “meet,” so both sets of owners allowed them to get to know each other, said Rijvers. The other, bigger dog also seemed excited, said Rijvers, and Ben went over to meet him too. Within two seconds, Rijvers said, the pit bull had Ben in his mouth. The man holding the pit bull pinned the dog down and Rijvers put his hands on the dog’s neck, he said. Eventually the dog let go of Ben, but he was brutally savaged. “He was bleeding out of his mouth, he was struggling to breathe, it was really intense,” said Siqueira. “I had him in my arms and I looked at him and he was limp, he was going into shock, and I thought, ‘We gotta go,'” said Rijvers. Rijvers said he heard the woman apologizing as he held Ben in his arms, but all he could think of was getting him to the vet and trying to save his life. Tragically, the vet found Ben’s lungs, diaphragm and intestines had been punctured, and he had bruising all over. The puppy died within a few hours. Now, Siqueira and Rijvers are sharing their story in the hopes of finding the pit bull’s owners and raising awareness of the issue of pit bull attacks. In their rush to take Ben to the vet, they didn’t stop to get the pit bull owners’ information, but they have since reported the attack to Animal Control. “I don’t think the [owners] have any clue that Ben has passed on,” said Rijvers. Siqueira says she doesn’t want others to have to go through this and wants Vancouver to consider making a bylaw to ensure certain breeds of dog are muzzled. Pit bulls are considered aggressive or dangerous dogs in Richmond and West Vancouver. Rijvers doesn’t understand why this isn’t the case everywhere. “It’s been proven over and over again in the past that these animals are not predictable and they have taken little children’s lives, not just other animals,” said Rijvers. Siqueira and Rijvers had only had Ben for a month, but he had already made a big impact on their life – and now he’s gone. Rijvers said he had been taking Ben to work with him every other day, now he has to relive the whole attack all over again as he explains what happened to everyone who met Ben. A City of Vancouver spokesperson confirmed they are investigating the attack. If found at fault, the pit bull’s owners could face fines, and the dog could be euthanized. The owners of the pit bull are described as in their mid-40s/50s, both dressed in sport clothes. The woman is believed to have brunette/black hair. Anyone with any information about the attack is urged to call the City of Vancouver on 311, quoting reference 17-179224. How sad! And this is why I won't let my dog near pit bulls. My dog is 60 pounds, but still. No match for a pit bull. Why chance it? I can't help but wonder what the pit owners are thinking right now. Have they explained it away by telling themselves their dog was only playing? Or that the Yorkie provoked their dog? I wonder if they will be more careful with the next encounter, will they even come forward and take responsibility?? ?